AC/DC TIG inverter TP 323 AC/DCW | Elko G.C. 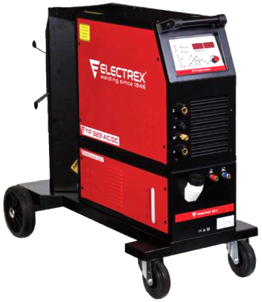 Inverter AC/DC for TIG HF welding and MMA welding. Enables excellent results either in AC welding mode (for aluminium and light alloys) or DC welding mode (for steel, stainless steel, zinc, brass, copper). Available TIG Pulsed mode to reduce welding piece distortion and enable thin to thick plate welding. Balance adjustment for penetration or cleaning effect. High frequency or contact TIG arc ignition (Liftig). 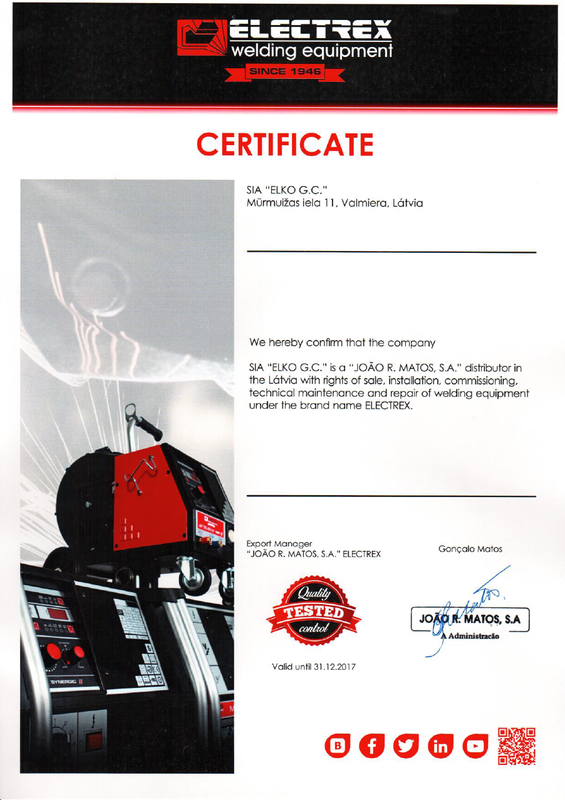 Also optimized for MMA welding of all types of electrodes. Standard remote control, pedal, torch with poteciometer and wireless remote control with all welding parameters adjustable (soon available) as option. Allow selection of AC waveforms (advanced square, sine and triangular wave). - Square wave: welding of light alloys with more penetration into thick plates. - Sine wave: is used in most applications. - Triangular wave: welding of thin sheets with little transference energy and thus, less penetration. Uzņēmums Electrex piedāvā profesionālas metināšanas iekārtas, kuru kvalitāti nodrošina ražošanā izmantotās modernās tehnoloģijas un stingra kvalitātes kontrole.